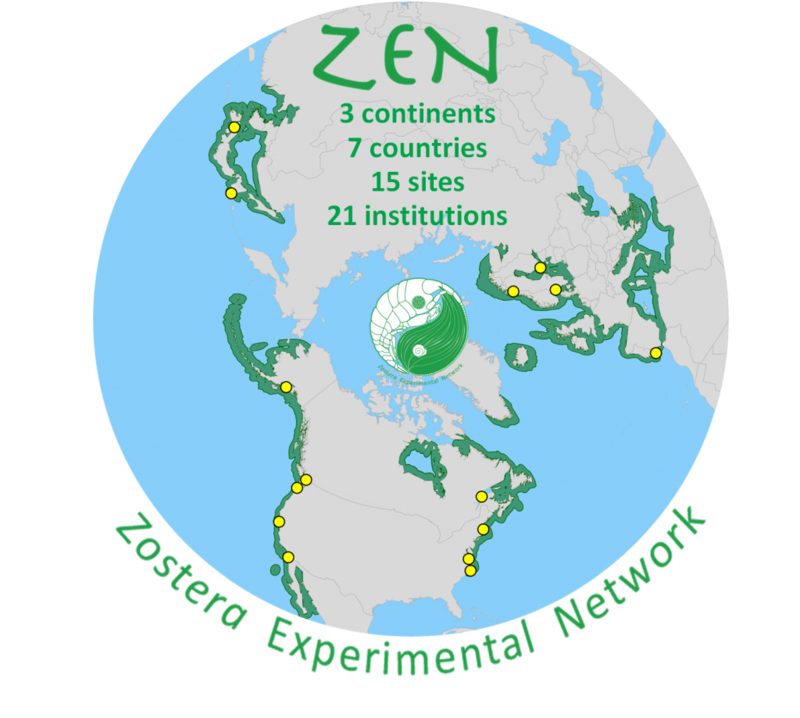 The cross-site ZEN experiment from 2011 is in press at Ecology Letters! 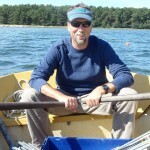 (Gloucester Point, VA) — Loss of small animals has surprisingly big effects on the health of valuable seagrass ecosystems, according to new results from a coordinated experiment spanning the northern hemisphere and led by biologists from the Virginia Institute of Marine Science (VIMS) and Smithsonian Institution. 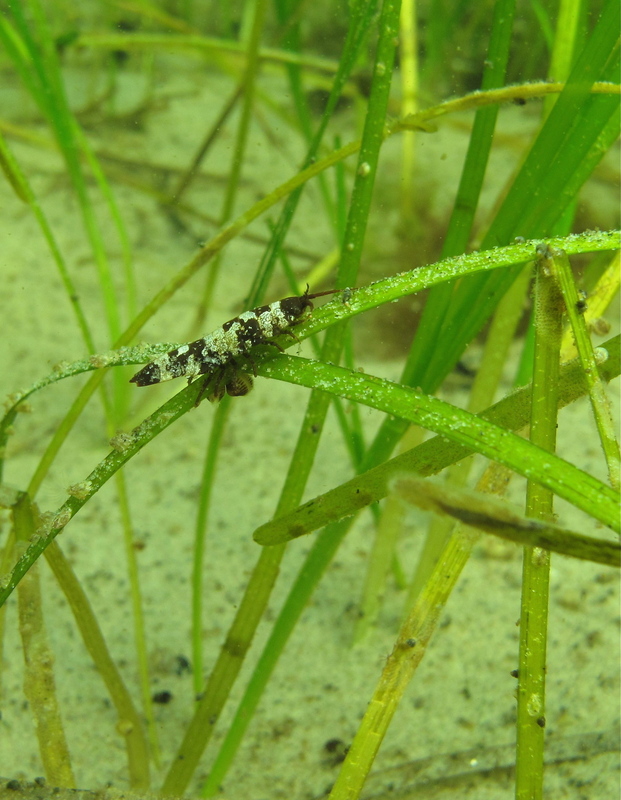 The unprecedented experiment conducted simultaneously across 15 sites showed that algae-eating invertebrates control seaweeds that can smother seagrasses, and that more diverse animal communities perform this custodial service more effectively. Unexpectedly, biodiversity had stronger effects on productivity than did temperature or experimental fertilization. Seagrass meadows provide valuable fish nurseries and protect coastlines, but are declining worldwide. 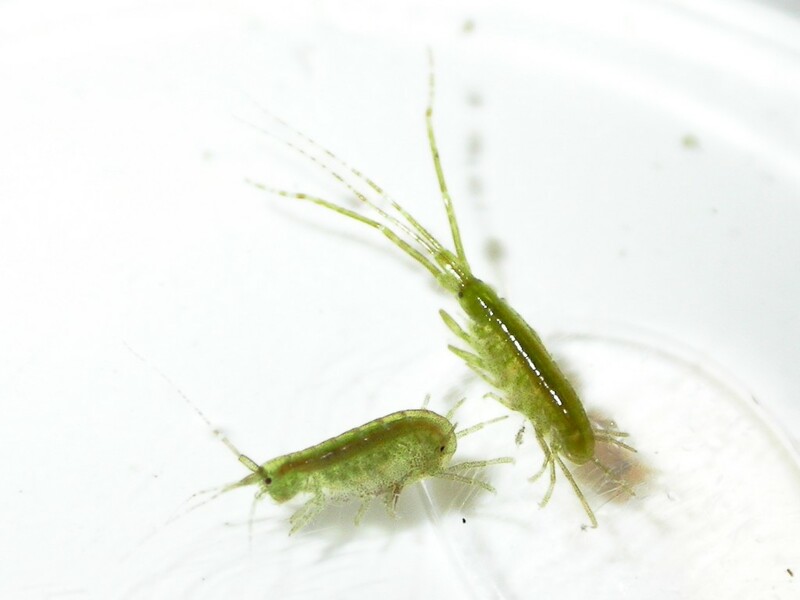 “It’s widely understood that controlling algal overgrowth of seagrasses requires reducing fertilizer runoff, but it turns out that maintaining diverse populations of the bugs and slugs that clean these underwater plants is just as important. Our results provide rare large-scale confirmation of the importance of biodiversity to healthy ecosystems,” said Emmett Duffy, the study’s lead author and Director of the Smithsonian’s Tennenbaum Marine Observatories Network. 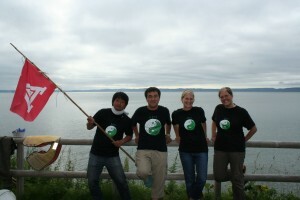 The worldwide experiment not only produced important confirmation of the importance of biodiversity, it also established a unique collaborative model for conducting large-scale ecological research, the Zostera Experimental Network (ZEN, www.zenscience.org), which involved scientists and students across seven countries. “Answering global challenges in ecology—from climate change to fisheries management—requires global approaches. The Zostera Experimental Network gives us an unprecedented opportunity to do that in coastal ecosystems”, said Pamela Reynolds, ZEN Program Coordinator and postdoctoral researcher at VIMS and the University of California, Davis. The study was published in Ecology Letters and supported by grants from the National Science Foundation and local support from the 15 partner institutions. 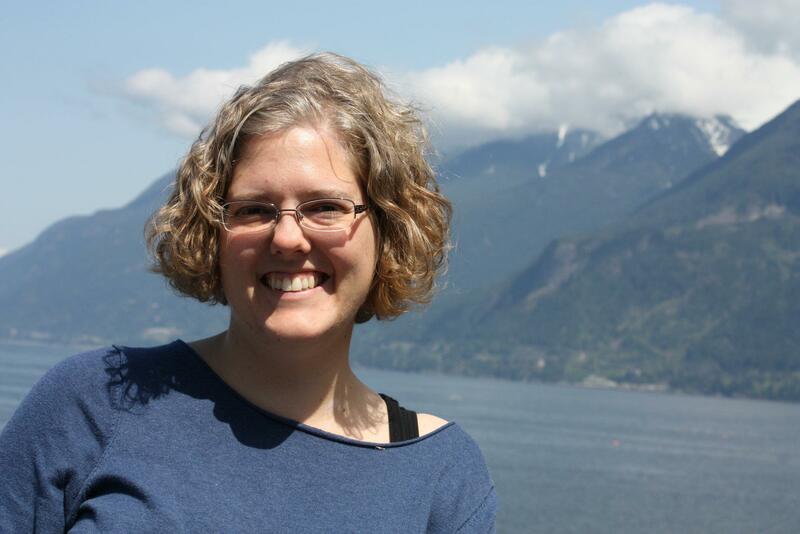 “I consider the ZEN project as a good example of scientific coordination and collaboration. The work revealed that results from combined dataset can be much more informative than when taken separately. 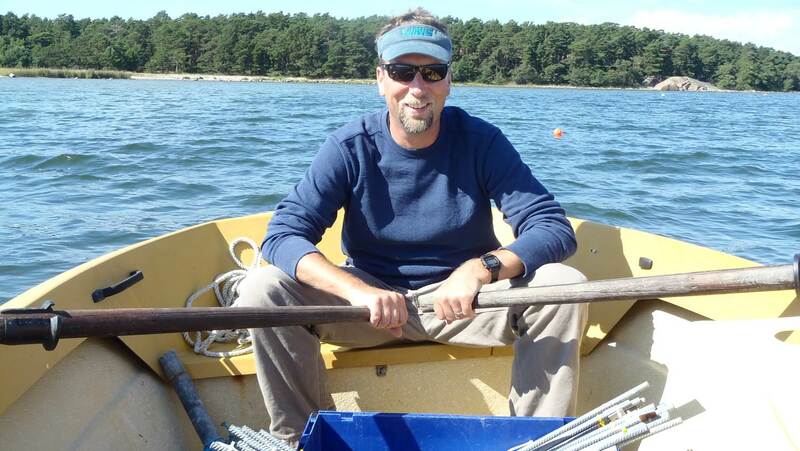 It proofs the usefulness of a collaborative work to generate robust ecological results that can be applied to the hemisphere scale.” Mathieu Cusson, Professor of Fundamental Sciences at the Université du Québec à Chicoutimi in Quebec, Canada. “While particular issues such as the negative effects of nutrient pollution are important to consider in eelgrass conservation, our results show that strategies should consider the feedback loops that exist between the animals that inhabit eelgrass, and the plants themselves. 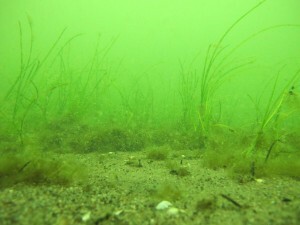 For instance, healthy eelgrass habitat supports a high diversity of species, including those that support fisheries, but in turn the interactions among these animals have significant influence on the health of eelgrass. ” Kevin Hovel, Professor of Biology at San Diego State University. As my time with the ZEN team in Japan draws to a close, I am beginning to look back at what I have gained from this experience. Aside from being exposed to the dynamics of a temperate eelgrass ecosystem, I learned the ins-and-outs of subtidal field work. I collected samples for my own master’s thesis research and discovered new techniques that will be helpful for future projects. I experienced the daily life of someone who lives on the other side of the world and have mastered the use of chopsticks and the art of cooking rice. I met amazing people, saw amazing places. All of this is wonderful, but what I am most grateful for is the experience of international collaborative science. It is really awesome to be a part of a project that brings together researchers from different countries, different cultural backgrounds, different life experiences, and different languages. Understanding the effects of nutrients, grazers and predators on the ecology of eelgrass beds provides the mission, but I think it is the universal characteristics of being a scientist (curiosity, passion, and hard work) that truly unites us. It has been an honor JN team! Just barely over my jet lag, we recently set up the main ZEN experiment at the Fårö Island eelgrass meadow in about 3 -4 meters of water a one hour boat ride from the field station in Korpoström. 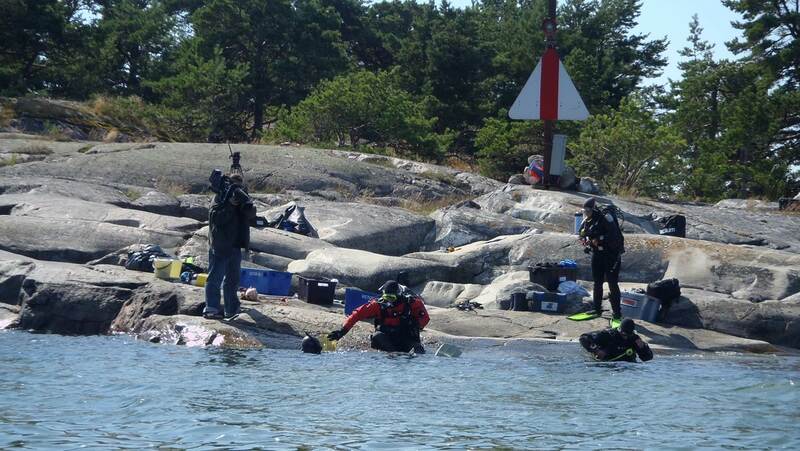 Unlike the warm shallow waters of the Virginia grass beds, all of the work was done in SCUBA with dry suits by Camilla, Anna and Christoffer. 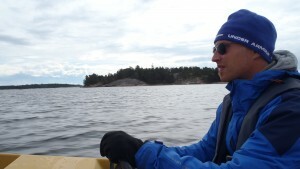 I assisted from the boat or in my 7mm wetsuit with snorkel gear. The plots were staked out with short galvanized rebar rods instead of the PVC poles that make up our “pole gardens” in Virginia. For marking tags they ingeniously employed cut squares of linoleum flooring tabs. The site perimeter is marked by small buoys. Because the water is so deep at the field site, there is no worrying that a small boat will run over the plots. 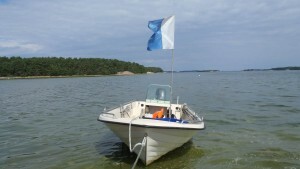 The research vessel used by the ZEN team in Finland. 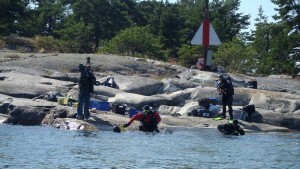 Note the blue and white dive flag. In the U.S.A., red and white flags are used to alert that divers in the water. Witnessing the huge addition of logistical effort to conduct the ZEN work in deeper water with SCUBA and especially dry suits gives me a new appreciation for what the ZEN partners working at deeper subtidal sites have to do to get the job done. Everything takes at least twice as long. The work and general communication is more difficult. Work is limited by the air in the tanks, bottom time, and general fatigue. Once the work is done and everyone is out of their dry suits, they can’t just jump back in the water and fix something if needed. It usually takes another planned trip. Further complicating matters is the fact that the usually clear waters of the field site (see pictures from the 2011 experiment) have been clouded by a senescing blue green algae bloom that leaves the water full of chunks of a green, snot-like substance that you don’t want to swallow – apparently it is hazardous to your health. 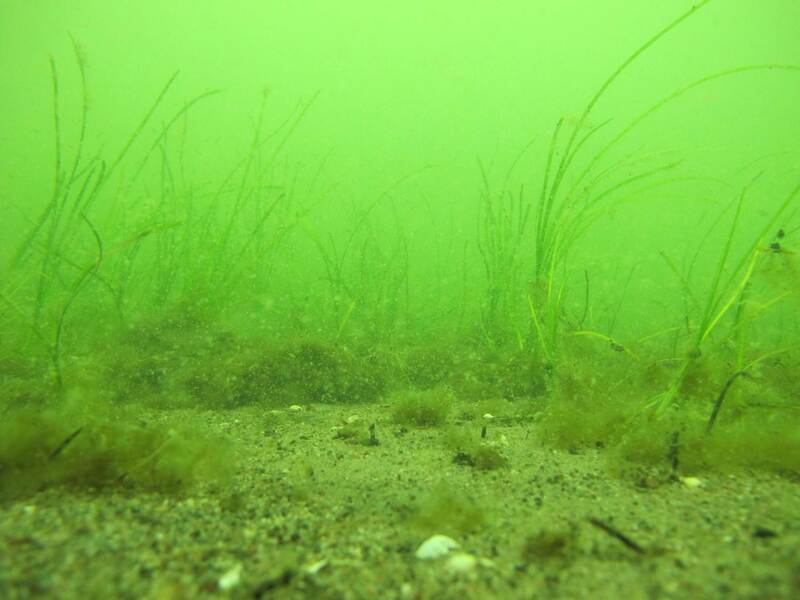 Also, the eelgrass beds are covered with a matrix of algae that are dominated by the frilly Ectocarpus. Otherwise, the eelgrass blades themselves are beautiful, green and covered with very few epiphytes. But these Ectocarpus mats are so thick that in places they go completely anoxic and turn white. We see similar effects during certain times of the year in Virginia where large blooms of the green algae Ulva and red Gracilaria drift in and smother the eelgrass in the Chesapeake. Here in Finland there is the danger that if you disturb these mats you can get a shot of hydrogen sulfide that can penetrate right through your skin. Christoffer Boström navigates the complicated seascape of the Archipelago Sea to the ZEN project site on Fårö Island, Finland. Also, since the Fårö Island site is about 24 km away it requires an hour long boat ride. With fuel costing 1.63E/L (that’s $6,71/gal) and SCUBA setup and breakdown time, every field trip is a significantly greater investment of time and money than what I’m used to. Field days are usually 15 hour days. But once it’s all done I know it will all have been worth it. 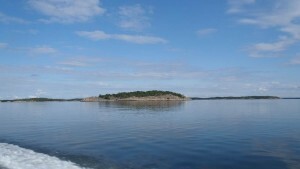 According to the locals and everything that I’ve read, the Archipelago Sea has over 30000 islands! Being the experienced boat captain that I am back in the States, I can say that I won’t even attempt to navigate a boat around here. 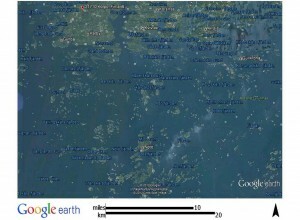 The gauntlet of islands on the way to the field site is mind boggling. I’ll leave the navigating and boat driving to Camilla, Marie, and Christoffer, who have the local knowledge and skills to safely transport us to and from the field site at Fårö Island. It went pretty well, except that I gave the reporter some footage of us working in the grass beds of Virginia and I neglected to delete the audio which I didn’t think would be included, but it was. Also, in my jetlagged state, I mentioned that prior to the human perturbations in the Chesapeake Bay, “there was 90 % more (sea) grass in the Bay,” which, if taken out of context is not exactly correct. The seagrass coverage that we have now is 10% of historic levels. 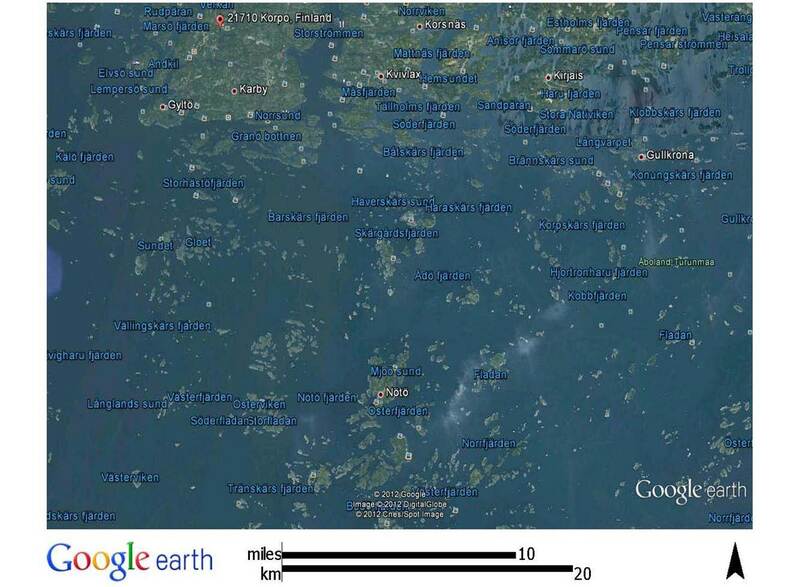 In other words, seagrass coverage in the Bay was historically 900% of current levels! Either way you look at it, that’s a huge and worrisome decline given all the important ecosystem services and functions that seagrasses provide. 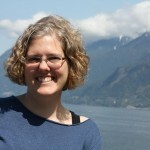 Media exposure can be good for your cause, but I’m finding it can also be difficult. 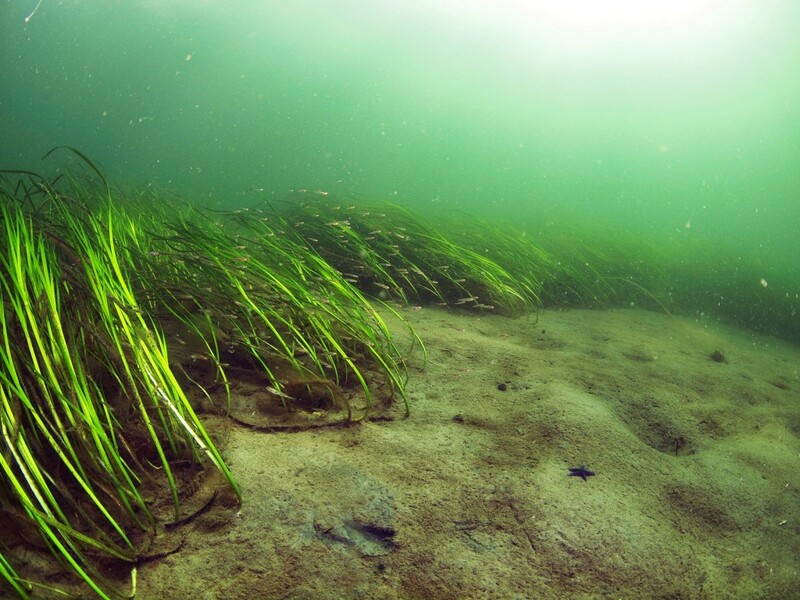 Anyhow, overall, I think we got the message across that eelgrass meadows are important systems all over the northern hemisphere and that they need to be protected. Check out the ZENscience news page for a link to this story.